TUAW cited a source on Tuesday as saying that Apple will discontinue the iPod shuffle and iPod classic this year. According to the report, the company is looking to retire the platter-based hard drive used in the iPod classic as it has come to favor flash-based solutions, while the iPod shuffle's lack of a screen "has been an issue" since it was released. The publication noted that it had been "sitting on [the] tip for a while" and decided to publish the report in light of speculation from CNet that Apple may "stick a fork in the iPod" at its iPhone event next week. The report's author, Victor Agreda, Jr., declined to specify the nature of his source, though he did note that the person is "NOT an analyst." 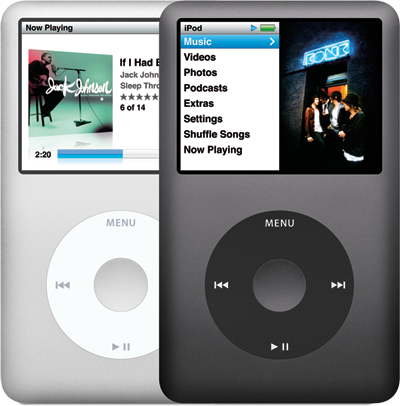 Last week, Wedge Partners analyst Brian Blair also predicted that Apple would discontinue the iPod classic. He also expects a modest update to the iPod touch, which may include an improved camera, a white model, and 3G data capability. AppleInsider was first to report this summer that Apple would release a white iPod touch model with few changes. In fact, rumors of the demise of the iPod classic and shuffle have persisted for some time. Last year, speculation arose that Apple would discontinue the iPod classic, but the device went unmentioned, and, consequently, unchanged, at last year's iPod event. Though some had also suggested that the smaller multi-touch iPod nano would push out the iPod shuffle, AppleInsider reported last year that Apple intended to keep the shuffle around for the time being. Though the iPod classic and iPod shuffle are still available from Apple and its resellers, the report warns that customers who want to buy either device should do so "sooner rather than later." Apple currently sells the 160GB iPod classic for $249 and the iPod shuffle for $49. Also contributing to speculation that less popular iPod models will be discontinued this year is the fact that Apple has eclipsed its annual fall iPod event with this year's iPhone 5 release. Whether intentionally or due to unspecified delays, this year's iPhone release has been pushed back from its usual summer launch to coincide with the fall release schedule. 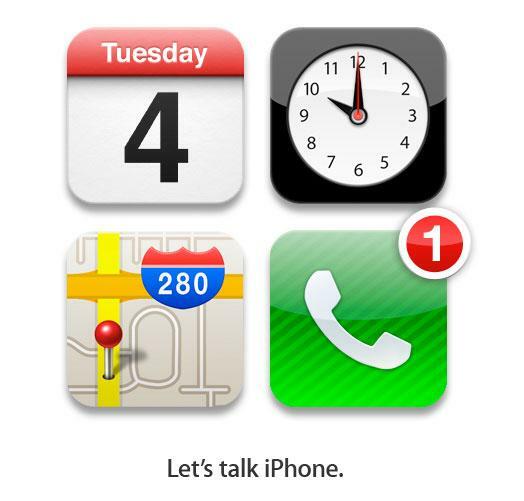 Others have pointed to the fact that Apple's invitation for next week's event does not mention the iPod, instead making the iPhone the star of the show. Sales of iPods have steadily declined for Apple as its booming iPhone and iPad businesses come to provide the lion's share of the company's revenue. In the most recent June quarter, iPads outsold the iPod line by almost 2 million units. The company has guided for a decline in iPod units in the September quarter, which wrapped up last weekend. The iPod's share of Apple's total revenue has dropped off sharply from 55.55 percent in the first fiscal quarter of 2006 to around 8 percent in recent quarters. Released in October 2001, the iPod is credited with reinvigorating Apple's brand and driving the company's profitability for much of the past decade, while also laying the groundwork for the company's next two "post-PC" hits: the iPhone and the iPad. For instance, Apple leveraged the economies of scale achieved through sales volumes of the iPod to release the iPhone in 2007 with an unprecedented 8GB of storage.